Cookies, Cakes and Goodies! Oh My! Your chance to bake ( or eat) for a good cause is here! 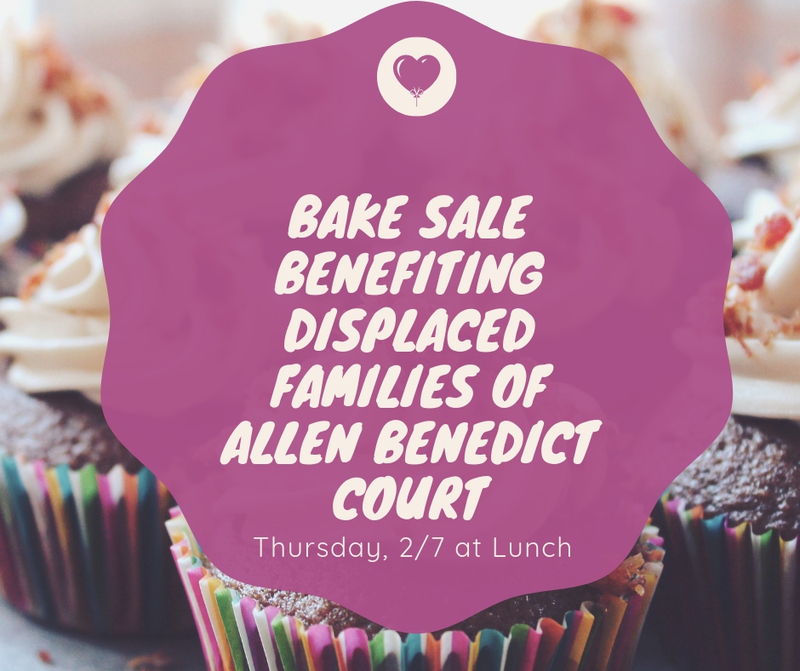 On Thursday, Feb 7th outside the Cafe, WIL, BLSA and the Pro Bono Program will be holding a BAKE SALE to raise funds for gift cards for those families displaced at Allen-Benedict Court. We have been doing a great job collecting personal care products but there are always some things people would like to buy themselves. We should do our part to help! Not only have these residents lost their homes but their sense of community has been dispersed. They are taking each day as it comes but they have many basic human needs and challenges to face each day. Interested in baking? YEAH Here is a link to see what others are doing. Nothing wrong with lot of chocolate cookies but they say that variety is the spice of life! Take Note: Last time, homemade dog treats were a great hit!! This entry was posted in Administrivia on 4 February 2019 by Pam Robinson.